Bringing The World’s Finest Foods to Your Door! Since 1992 Home-Tyme Food services has delivered high quality meats and seafood to homes and businesses in London and surrounding areas. We are an industry leader in seafoods with over 30 types of fish and shellfish. We have introduced new beef lines that are hormone and antibiotic free. We serve restaurant quality food at 1/3 of the price with no taxes or tips to pay. Start shopping our poultry, fish, meat and shellfish today to take a look at what you haven’t been seeing at the grocery store. Have questions? Contact Home-Tyme Food Services today! Home-Tyme Food Services is proud to support Canadian fisheries and fishermen. Canadian families are growing more concerned about where their meals are actually coming from. This is why we believe that our customers deserve the highest quality fish and seafood products that come directly from Canadian fisheries. 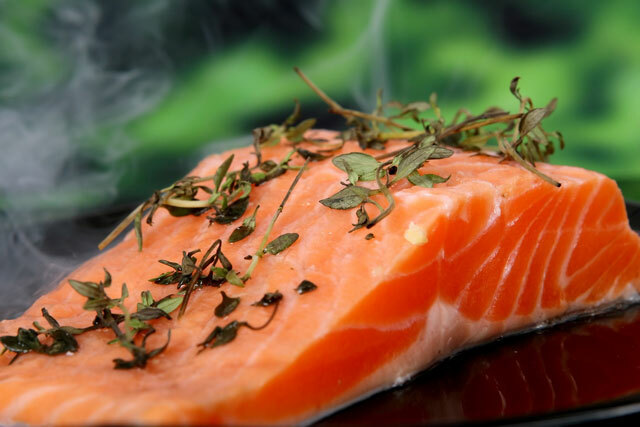 We offer fresh, wild-caught Canadian fish and seafood that won’t be found in grocery stores!